We are the exclusive dealer of Betterliving sunrooms in Barnstable, Plymouth and Norfolk counties. Betterliving offers high performance year-round vinyl sunrooms, durable aluminum 3-season patio rooms, and comfortable enclosed porches. From initial planning, to financing, working with local building officials, installation, and clean up…we make it Care Free! We have the experienced, professional installation team to build it right – the first time! We’ll come to you! Our experienced sunroom designers will work with you to determine the best way to add light and living space to your home. Get started with your FREE in-home consultation today! 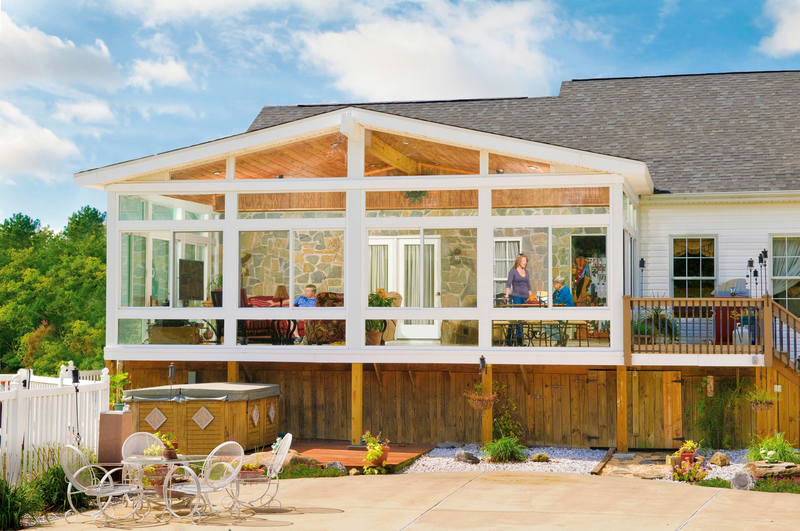 Get Started on Your Sunroom Project! We offer contractor services to towns on Cape Cod, the South Shore and Southeastern Massachusetts and Rhode Island including the communities in and around Acushnet, Barnstable, Bourne, Braintree, Bridgewater, Canton, Centerville, Cotuit, Cranston, Dartmouth, Dennis, Fairhaven, Falmouth, Harwich, Hyannis, Marion, Marstons Mills, Mattapoisett, Plymouth, Sandwich, Somerset, Yarmouth, Fall River, New Bedford, Newport, Onset, Providence, Portsmouth, Quincy, Randolph, Taunton, Wareham, Weymouth, Westport and Warwick. Care Free Homes, Inc. is a family owned, home improvement and construction company located in Fairhaven, Massachusetts.